The village of Trencianske Mitice has the history of 805 years and is situated on the southern parts of Strazovska hornatina. Their names all come from the original word "myto" which means a common sort of fee in the past. The integration of these original villages in 1960 has created one bigger village called Trencianske Mitice. It has got 733 inhabitants (Roznove Mitice - 423 inhabitants, Zemianske Mitice - 176 inhabitants, Kostolne Mitice - 134 inhabitants). The blue shield which represents the coats of arms of Trencianske Mitice is one of the traditional symbols of this village. There is a green hill on which golden cross is erected and silver halfmoon and sun on both sides of the cross. Manor house which is situated in Roznove Mitice had a strategic position in the past. It is situated on the Middle Age's crossroad which connected two major regions of this area - Povazie and Ponitrie. The manor house was finishes in the 15th century. The reconstruction is needed. The village is the owner of this manor house. 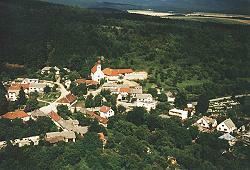 Church is situated in the part of Kostolne Mitice and dates from the 13th century. 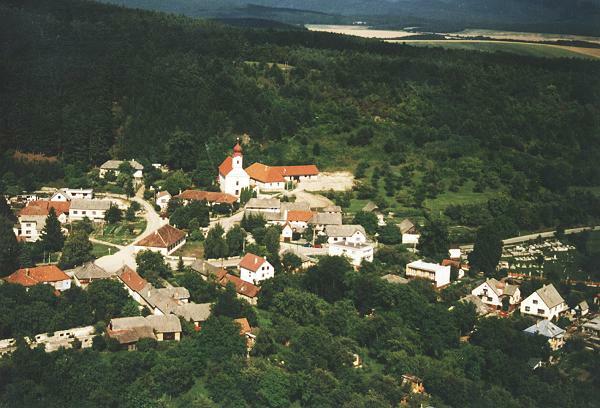 The village of Mitice is mentioned in the pope's historical documents dating from 1332-1337 which represent the oldest list of parsonages in the area of the Slovak Republic. The attraction of the village is the area of four chesnut trees - about 500 years old. Miticka slatina is the local mineral water which is taken from the well MP-1 situated 120 metres below. It has got many benefits especially for digestive system and infections of urine system. It is packed into bottles and known as Miticka perliva. The well is open to the public as well and is situated in Roznove Mitice (part of Harmadovec). Strazovka hornatina is the area of hills in the surrounding of the village. It constists mainly from calcium and dolomit massifs. The ores which are extracted in the village are used for glass production and other uses.